Have a look at our current selection of pre-owned and vintage watches. Most of the watches we have in stock in our shop on Strandvägen 15 in Stockholm, but for showing some of the watches we book an appointment with dedicated time only for you. Do you want to sell or trade-in your watch? Send us a request or come to the shop for evaluation. PRE-OWNED Sjöö Sandström Chronograph Blue & Steel Sjöö Sandström Royal Steel Chrono in a good condition, follows with original box. Automatic movement, case and bracelet of stainless steel. PRE-OWNED Eterna Matic Super Kontiki Chronograph Men´s Watch 40 mm The Eterna Matic Super Kontiki is a diving watch and a chronograph that has a water resistance of 120 meters. The dial is red with sword dials and a magnifying glass for date as well as a diving ring. The watch is in good condition. PRE-OWNED Omega Geneve Men´s Watch Automatic 36 mm This Omega Geneva is an automatic watch with the size of 36 mm. The dial and the case are gold colored and the hour and minute hands are designed with pencil hands. The watch is probably from 1960-1970´s. 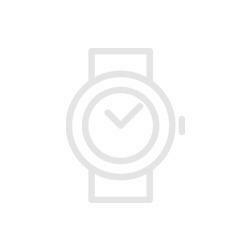 PRE-OWNED Girard-Perregaux Vintage 1945 PRE-OWNED Girard-Perregaux Vintage 1945 men's watch. Black dial, alligator strap. PRE-OWNED Girard-Perregaux GP 7000 Chronograph PRE-OWNED Girard-Perregaux 1966 women's watch with automatic movement, red dial. Case and bracelet in steel & yellow gold. PRE-OWNED Oris Carlos Coste Limited Edition IV PRE-OWNED Oris Carlos Coste Limited Edition IV Watch was bought in 2017. PRE-OWNED Girard-Perregaux 1966 Red dial PRE-OWNED Girard-Perregaux 1966 women's watch with automatic movement, red dial. Case and bracelet in steel & yellow gold.